Hilltop Ventures is Marchment Hill Consulting’s venture arm and our vehicle to invest in disruptive and innovative businesses in the water and energy sectors which aim to promote a more sustainable future. Hilltop Ventures sources business opportunities through direct proposals from entrepreneurs, industry experts, MHC delivery partners and MHC consultants. Hilltop Ventures seeks to leverage the value we create from our consulting business, the insights we generate from our industry focus and the relationships we have with people in those industries to support entrepreneurs with great ideas – as well as promoting a more sustainable future. MHC’s investment could be in the form of money, time, our brand or our skills. From angel funding to sweat equity, we are open to opportunities and approaches that work for all parties. i.n. concepts is a provider of customer centric design and data analytics services across a range of industries, including the energy and water sectors. It strives to help its clients achieve greater understanding of and connectedness to their customers, create more meaningful customer relationships and improve the lifetime value of customers. Its consultants have worked for leading global brands and bring that experience to each subsequent engagement. i.n. 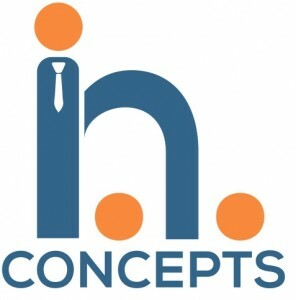 concepts is a partially-owned subsidiary of Marchment Hill Global, and a sister business to MHC Australia.